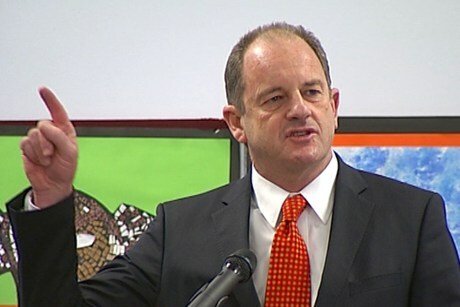 David Shearer | Something should go here, maybe later. If there is any doubt that Labour is driving itself into a ditch, one need look no further than their new policy of banning foreigners from purchasing houses. Real estate industry commentators are questioning whether Labour’s new policy to restrict foreign ownership of houses will work. Today, Labour leader David Shearer told TVNZ’s Q+A programme the policy would put a halt on foreign speculators coming into the housing market and pushing the prices up. “We’re going to restrict, almost totally, foreign ownership, to buy established houses that are here. And this, only weeks after their “man ban” policy was dropped like a hot potato. Which was a pity – that one would only hurt them. This policy on the other hand, has the potential to do major damage to our foreign relationships. Worse, it will be easily avoided. But on the plus side, it’ll lose them lot of votes among immigrants. Funny thing is, we actually purchased our current house from people who had only stayed in New Zealand for a short time before leaving. That’s just the way it is – people come, people go. At this point, Shearer is looking pretty hapless. Goff did a better job than this guy. I say keep him on! David Shearer puts his foot in it – will the media notice? Whale Oil points out some comments by David Shearer. In case you havn’t heard of him, he’s standing in Melissa Lee’s election (yes, there are other canditates!). I was going to say something sarcastic like “now, back to bashing Lee“, but as you can see from the clip they haven’t bothered to pause that pastime, slipping in plenty of references to her supposed gaffes.